The lowlands of the Amazon basin boast incredible biodiversity; and, bird-wise, the area is arguably to most species-rich in the world. 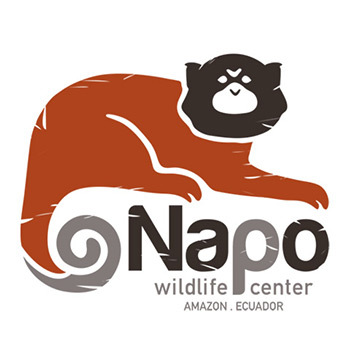 The number of bird species recorded at Napo Wildlife Center is approaching 600! The tour will focus on finding as many species and local specialties as possible, by visiting multiple (micro) habitats within the Amazonian basin. Although the list of possible targets is immense here, a couple of iconic species that we have chances for include Hoatzin, Zigzag, Capped and Agami Herons, Gray-winged Trumpeter, Sungrebe, Scarlet, Blue-and-yellow, Chestnut-fronted and Red-bellied Macaws, Gould’s Jewelfront, Wire-crested Thorntail, Great and Long-tailed Potoos, White-throated, Black-mandibled and Channel-billed Toucans, Many-banded and Ivory-billed Aracaris, American Pygmy and Green-and-rufous Kingfishers, Gilded and Scarlet-crowned Barbets, Crimson-crested Woodpecker, Coppery-chested Jacamar, Rusty-belted Tapaculo, Long-billed Woodcreeper, Cinnamon Attila, Screaming Piha, Golden-headed and Orange-crowned Manakins, Bare-necked Fruitcrow, Black-necked Red Cotinga and dozens of antbird species! 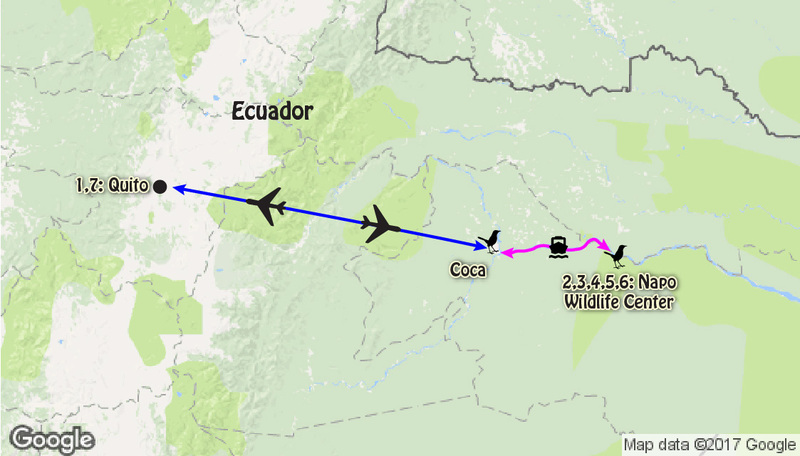 Black-necked Red Cotinga, Brown Nunlet, Black Caracara, Yasuni Antwren, White-plumed Antbird, Swallow-winged Puffbird. Also, Yellow-billed and Large-billed Terns, Undulated Tinamou, Scarlet and Blue-and-yellow Macaws, Green-backed and Black-tailed Trogons, White-chinned, White-eared and Great Jacamars, Scarlet-crowned Barbet, Black-fronted Nunbird, Chestnut-capped Puffbird, Salvin’s Curassow, Amazonian Streaked Antwren, Black-capped Donacobius, Hoatzin, Rufous-capped and Striated Antthrushes, White-crowned and Western Striped Manakins, Cinereous and Dusky-throated Antshrikes, Olive-backed Foliage-gleaner, Silvered, Plumbeous, Sooty, Lunulated and Scale-backed Antbirds, and more! Giant Otter, Equatorial and Monk Sakis, Red Howler Monkey, Night Monkey, Common Squirrel Monkey, Golden Mantled Tamarin, with chances for Jaguarundi, Jaguar and Brazilian Tapir. Hot and humid, with some rain expected. At times cool at night and early in the morning. Very comfortable and unique jungle lodge. Amazon basin wildlife, accessed by dugout (motorized) canoe, including visits Napo river islands. Great forest trails right from the lodge. Canopy towers with access to the highest reaches of the forest. Great experience with local Kichwa-Añangu community/culture.